Solid in the sense that it was, and I quote from dictionary.com, having relative firmness, coherence of particles, or persistence of form, as matter that is not liquid or gaseous. This newly created world is firm, there are no gaps or jumps of reasoning. One creature, idea, magic or bit of history flows right into the next. Characters that appear substantial at the beginning of the book do nothing but grow and evolve as their backstory unfolds behind them. This is solidly written fantasy tale. It was also solid in the, and now I quote form urban dictionary, cool or awesome aspect. . In this land people play a deadly game that involves lots of spying. Of course along with spying goes the lying. And that’s where the awesome part came in because more than once, just as the main character figured out some sort of mystery, I figured it out too! That’s not only a really cool feeling as a reader but really awesome writing from an author! Would I recommend it? If you are a fantasy fan put this one on your to read list. There is more of this story yet to tell and I’ll be lined up to read the next one when it comes out! Although fantasy isn’t my cup of tea I really enjoyed this review 🙂 Might just encourage me to try something new. Alison, if you take the plunge, I hope you enjoy it. As an author, for me it is all about the characters; the genre just allows me to put them in places you wouldn’t find in a contemporary setting. 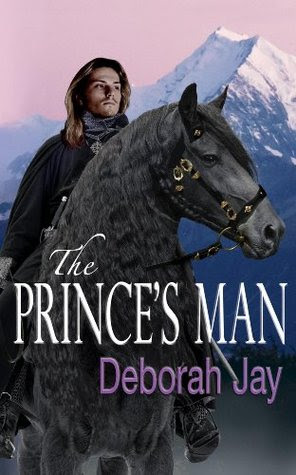 Strange though it sounds, when I started writing The Prince’s Man, I had it planned out as a science fiction book, but changed slants at the behest of a publisher, who then went bust! Really? That’s fascinating! Now I’m imagining what they’d all do in some sort of futuristic world… fascinating! Thanks so much for your delightfully solid review, Jessie, and Rosie – your review team is awesome! Happy to help spread the word on a good book! Really enjoyed this review even though I don’t read fantasy. Well, I read fantasy, at least of late. And I have Deborah’s book coming up very SOON on the TBR pile. This review just makes me want to read faster to get to it! Can’t wait! Well that’s a comment to make my day! 🙂 Thank you! I hope if you decide to branch out you enjoy it! Oh, sounds good! I’ll read any genre, as long as it doesn’t contain torture or graphic violence. Enough of that for me in the real world. Well…I don’t want to scare you off the book but there maybe just a smidge of torture. It’s pretty mild as far as torture goes. 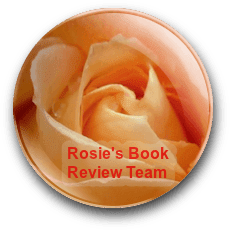 It’s still a great book but thought you might want to know!